If there is one that we all love in our house it is pizza. Unfortunately pizza leftovers never go over all that well. 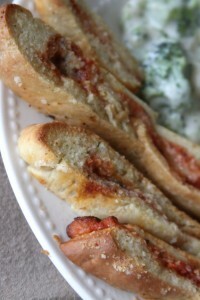 After finding a fabulous pizza dough recipe, and perfecting my homemade calzones, I came up with a way to use leftovers that is easy and AMAZING. These Garlic Butter Pizza Sticks are now a family favorite and make a great side with any pasta dinner. We have some form of pizza night at our house once a week. The kids favorite is pizza cutouts and my husband and I love calzones. I make calzones often, but we always end up with uneaten calzones as leftovers. And why is it that getting your family to eat leftovers is like shoving a kitty into a tub of water for a bath? They always end up getting tossed in the garbage, and I hate it! They are so good when they are fresh from the oven, but no one seems to enjoy them the day after. 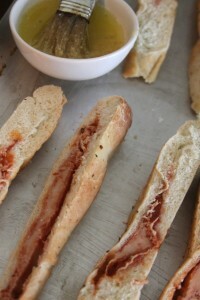 That’s when I devised a plan to turn our leftover calzones into some delicious Lazy Girl’s Butter Garlic Sticks that they would never recognize as the prior days “leftovers”. I always feel a little evil fooling them so, but in this case they didn’t mind a bit! After trying a few different recipes for pizza dough I landed on a new favorite. 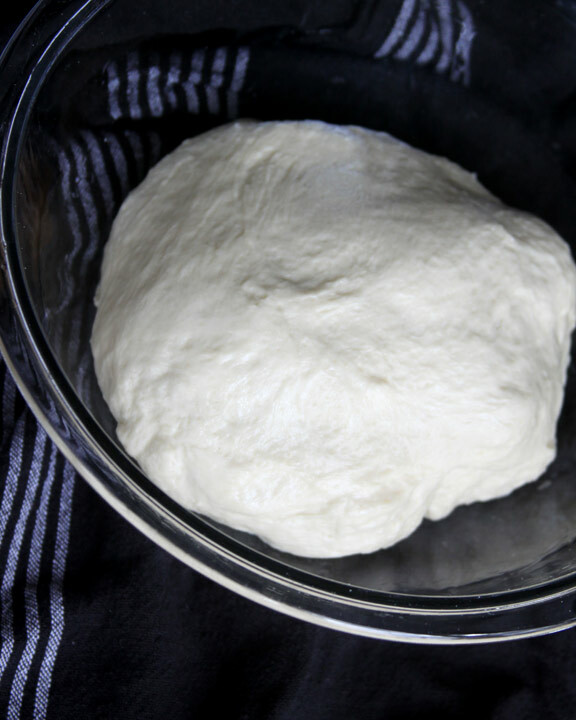 I love the fact that this pizza dough is made in the bread machine. I can add the ingredients and go about our daily activities while the bread machine does all the work. I found this recipe called Easy Peezy Pizza Dough (Bread Machine Pizza Dough) at Food.com. Anything with the words Easy Peezy in the title is right up my ally so I gave it a whirl. It was a grand slam. 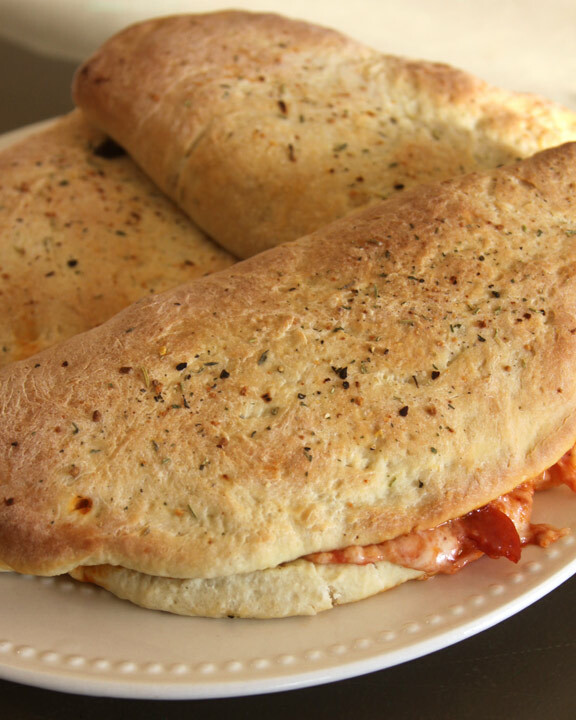 By far the best homemade calzones that I have tried so far, and it really was easy to make. Please check out the recipe and give it a try. So delicious! Using my tasty pizza dough I divide it into 4 sections. 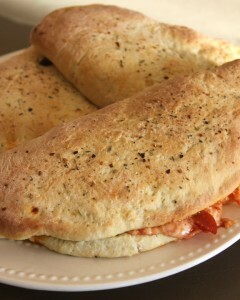 I make 3 large calzones and then divide the last section into two mini calzones for the kiddos. I roll out each section of dough on a sprayed surface into a circle to prepare them to be filled. The kids always love helping with this step and it’s a great way to make pizza night a family event. 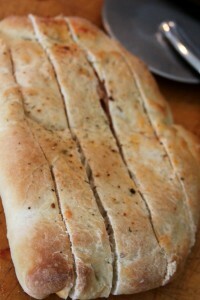 After filling the calzones fold over the edges and push together with a fork to seal. I then use a kitchen brush and add a thin layer of egg white wash to the top of each and sprinkle with a pizza seasoning (or Italian blend seasoning will work too). I bake the calzones at 425 degrees until they are nicely browned and cooked thoroughly. Enjoy your tasty dinner! I usually serve them up with a big salad and some fruit for a fun Friday night dinner. 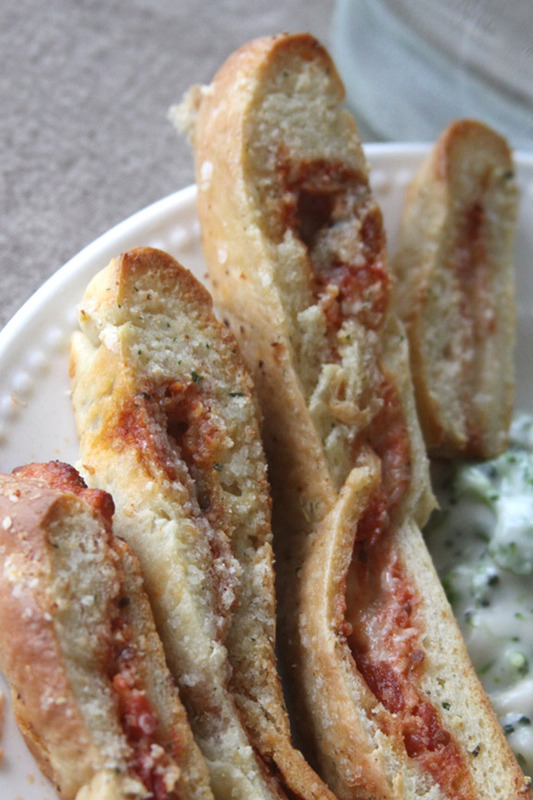 Wrap up the uneaten calzones and pop them in the fridge for the next day. I usually plan some kind of pasta for the following night. 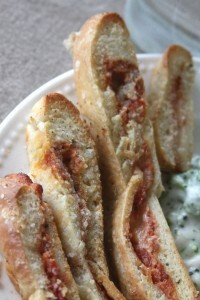 Anything that you would serve garlic bread with would make a great pairing for these buttery garlic pizza sticks. Using a pizza cutter cut your leftover calzones into strips roughly 1 1/2 inches wide. I usually use two calzones and end up with about 10 to 12 pizza sticks which is more than enough for our little family of four. Now lay them on a greased baking sheet and prepare a simple garlic butter to add to the top. Melt 3 Tablespoons of butter in the microwave and stir in 1/2 Tablespoon of garlic salt. I like Stonemill Essentials brand garlic salt because it is not just a powder it is more like using salt and garlic from a grinder. Mix the two together with your kitchen brush before coating each stick well. Saturate them all pretty good and stir in between applications. Now bake your garlic coated pizza sticks at 425 degrees for around 15 minutes. They should be browned nicely, and crispy to the touch. 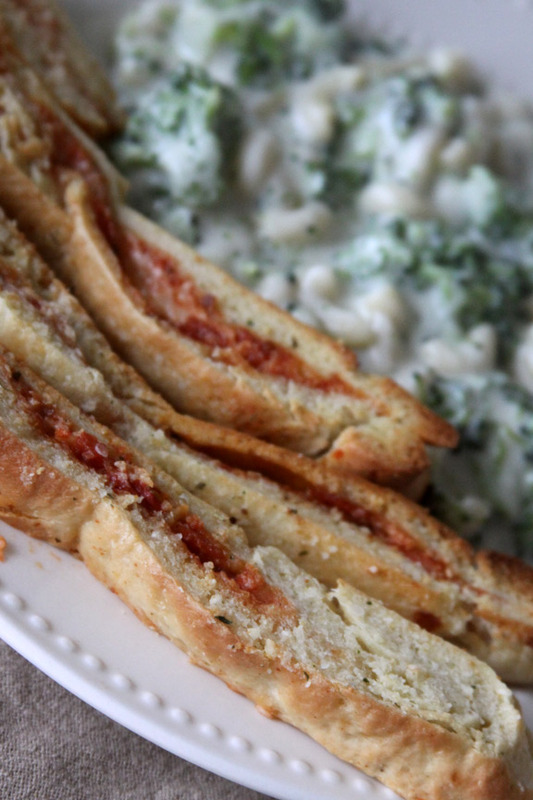 Serve them up hot with your favorite pasta for a family friendly side. The first time I made these I anxiously watched my hubby take the first few bites, just like I do anytime I concoct something new and serve it up to him without saying a word. To my surprise he gave me the best reaction of all. The old “Mmmmmmmm” oh my gosh, these are awesome!” That is a hard to come by reaction in my house, and the true sign that a recipe is a keeper! Every single person at the table ate their pizza sticks up right quick without a word, except the occasional “these are good”. Oh, how I wish every dinner was eaten that fast without complaints! To put it simply: Use your leftover calzones slathered in garlic butter and bake them for a super easy and amazingly tasty pasta side! Obviously if you have a bigger family than us you might not have leftovers so make an extra batch of dough, and double the calzones if you would like leftovers to try this with! These sound delicious! I’ve never made pizza dough before. I need to steal my moms breadmaker sometime and try these out!